Artful and modern with an urbane joie de vivre, our Cherries print takes quirkiness to incredible new heights. Doesn’t your dog deserve his very own place setting? Our reversible mat catches all manner of messes – spilled water, dog food, drool – to keep floors clean and anchor bowls so they don’t slide around. 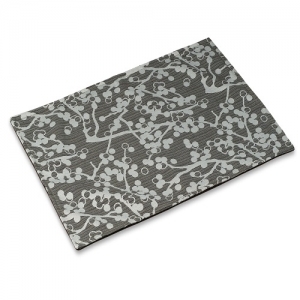 The easy-care mat will keep its mouthwatering good looks long after many skids, dribbles and splats!